RNZ reports a woman with a long involvement in whale watching in Tonga's Vava'u is hoping there will be fewer boats licenced to provide the service this year. 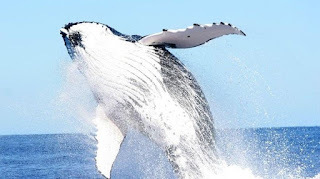 Whale watching and swimming with the whales are key element of the Tongan tourism package but Aunofo Havea Funaki, one of the founders of the sector, says the number of operators has reached unsustainable levels. Aunofo said, at times, last year there were up to 20 boats operating in a small area. She raised this matter of unsustainability at a whale conference in Nuku'alofa earlier this month and is confident that the government will reduce the number of licences issued for the new season, starting in July. "I saw last year there were too many boats out there, too many. I know that whales coming to Vava'u and to Tonga - it's different every year but last year it was less. They came late. Some years they came late and some years they came earlier. I think it was too many boats."